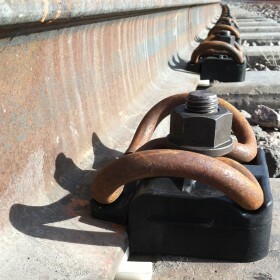 The fastening system W 31 RS I is the ideal retrofitting for the heavy haul traffic: due to its easy installation, strongly worn cast-iron fastening shoulders can be newly adapted at low costs. The abrasion plate made of plastic and the rail pad resting on it can be plugged together very easily. This enables a simplified assembly.